Over 20 years ago, Alerion Door & Glass Inc. was founded serving the Commercial and Industrial Door and Glass industry. 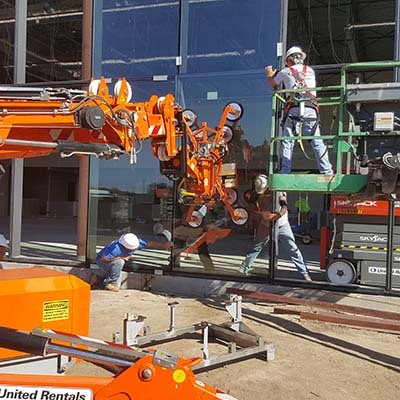 We are a Commercial Dealer for YKK Storefronts, Doors, Curtainwalls & Windows in the impact and non-impact systems as well as Vista Wall, now know as ( Oldcastle ). We also have a full Sales & Service Department for Hollow Metal, Wood, and Fiberglass Doors, Architectural Hardware from Allegion & Nabco Automatic Doors. When you need to step up your game, you need Alerion Inc.